The problem with being young after 2016, and perhaps it is also a blessing to promote as such (if only to lessen grief), is I had no exposure to most of the celebrities we lost, and thus do not have as deep a connection to them as I could. Some were just names to me—no matter how special they may have been. No matter how important. I did not grow up listening to David Bowie, for instance. The only loss I felt strongly was Alan Rickman—and that’s because I am a nerd. But, for today, I understand the loss. Because I’ve seen the work of John Hurt—deceased on the 25th of January, 2017. I knew him. I knew of him because he was on Doctor Who. 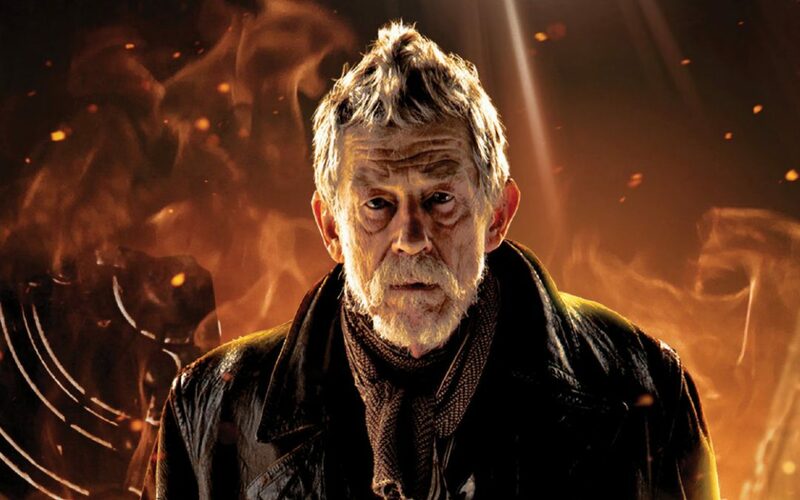 As the War Doctor. But he was more than a character. And, the problem with fame is we sometimes forget that. And I wish I could say more on his real-life portion. Promote the humanizing of these people we love to watch. The voice of the dragon in Merlin. The wand maker in Harry Potter. The guy the alien came out of in Alien. He was in V for Vendetta, Hellboy, and, per IMDB, he was even in Mel Brooks’ Spaceballs. That is a huge contribution. The fact of Alien alone, as the person who had the chestburster do its namesake, makes him a permanent and enduring part of cinema history. A cultural icon, a part of the media landscape, one anyone going into Cobb Theater at Countryside Mall will know by heart. He was also prolific. This was an actor who just kept doing roles no matter how old he got. I can’t speak for certain—again, I didn’t know him personally—but that promotes he had dedication to his craft. A love of being in art. He was even in movies yet to release—if indeed they do release. Sometimes they aren’t, in respect for the actor. So, with all this said, I thank you, John Hurt, with one voice of a nerd, and I hope echoing many. I thank you for giving life to the characters we loved, and lending joy to people who may have needed it more than we or you knew. As I’ve said before in voice and in articles, the arts are important—and you gave a huge part of your life to keep them going. Another one of the greats fell, now in 2017, instead of in 2016, and I hope we’ve finished with that trend. Start over fresh. I promote, to the utmost degree I can promote such a thing, that the rest of this year is full of spectacular people doing incredible and artistic things, without so much loss. And I think everyone can get behind me on that one, not just the nerds of the world.